In more recent years, Vermont has solidified itself as a rather stand-out name in the craft beer, cider, and spirits world, seeing exponential growth and consistent participation in opening and expanding its boozy offerings. 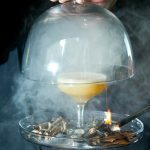 Of course, these spirits stay true to Vermont’s farm-to-table ethos as well, in that they, too, are as dedicatedly “grain to glass” as possible: from sourcing ingredients hyper-locally and supporting their neighboring farmers to building community and economic opportunity for the state at large. While there are certainly many noble participants in this Vermont-made movement, there’s one in particular that has really skyrocketed through national competitions—one that has taken home many a gold after just over two years of operation, and can already be spotted in most of the in-the-know craft bars in the nation—while, of course, still holding steadfast to its Vermont roots and farm-to-glass principles. 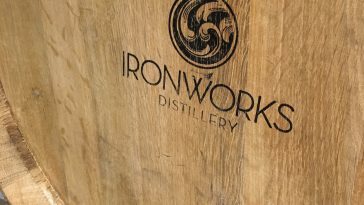 Finding itself right in the middle of the larger sustainability movement, coupled with the spirits world’s renewed interest in craft Whiskey distilling, WhistlePig officially opened its doors in 2015 with a unique Rye-only approach. And the rest is (quite recent and quite incredible) history. 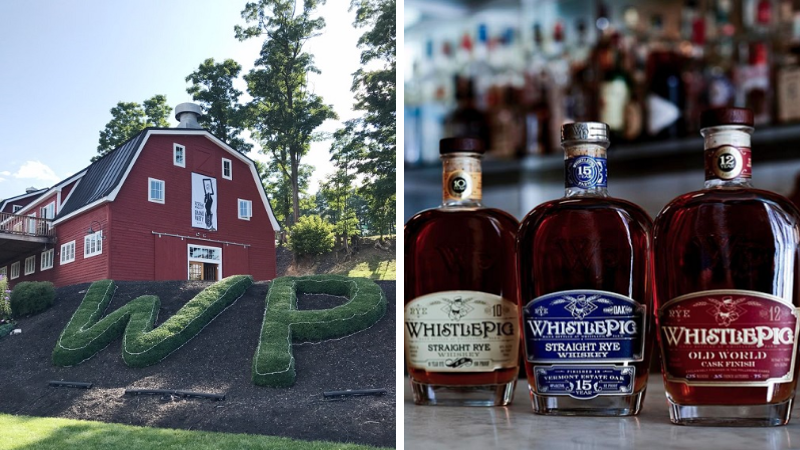 While it had existed in concept prior, the WhistlePig story became a reality in 2007 when the initial 500-acre purchase was made of what was once a dairy farm. After some trials and reconsiderations, and over 5,000 gallons of premium Canadian Whiskey brought for finishing in Vermont, the official opening of the WhistlePig distillery followed in 2015. Despite its skyrocketing attention and distribution to over 25 states in the country, production continues in its 150-year-old (renovated) dairy barn, in its custom copper pot stills. That said, it’s by no means a small operation, distilling their signature Rye-only offerings seven days a week to keep up with ever-increasing demand. 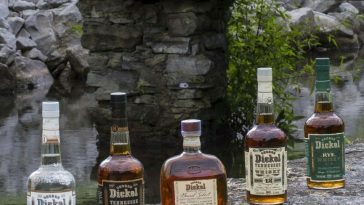 The master distiller behind these award-winning barrels is Dave Pickerell, who is known for spending 14 years previous to his WhistlePig fame at Maker’s Mark in Kentucky. Mr. Pickerell had made the switch in the pursuit of make the best Rye in the world, up to its most pure, and incredibly rare, 100 percent Rye blends. 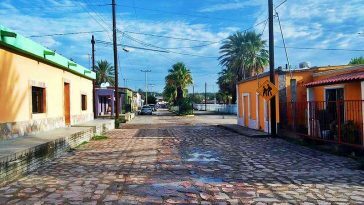 While a challenging undertaking for any distiller, the purity was seen as essential for creating the best of the craft. And, if the attention that WhistlePig has already garnered thus far is any indication of future success, Mr. Pickerell is certainly not far from producing the best Rye in the world—just over two years out. 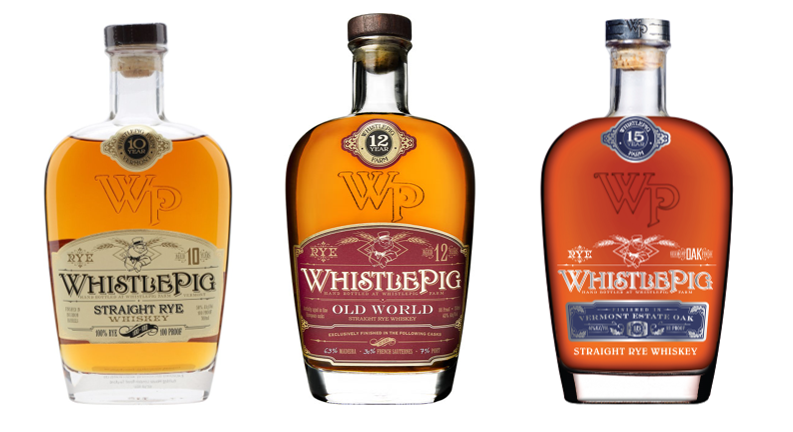 While WhistlePig is a star of the Whiskey world already, its focus is not so much on this growth (that has happened largely from simply making such fine Rye) as it is intensely focused on making its own locally controlled recipe under what WhistlePig calls its “Triple Terroir”: Rye produced with the grain grown on their land, wooden barrels made from their Vermont oak trees, and the water right from the well on WhistlePig property. WhistlePig is so proudly Vermont bred and born with every single intention of keeping it that way; this not only helps to keep the quality of its Rye under strict control but also fulfills its desired responsibility to the land and its immediate community. 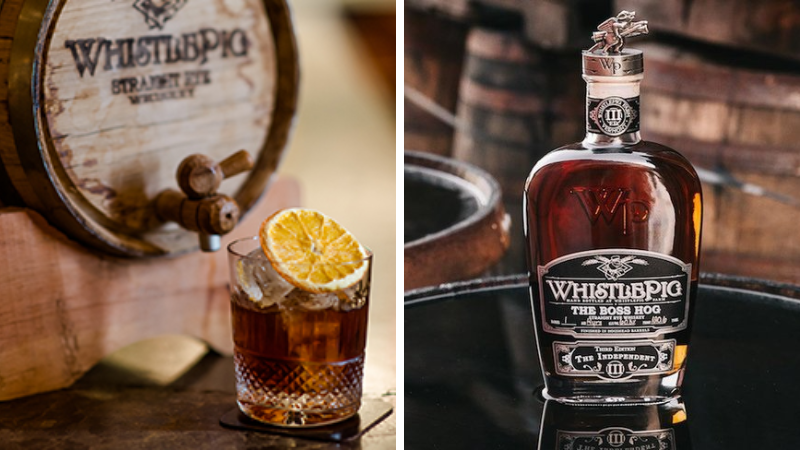 WhistlePig adheres to the white oak standard of Whiskey barrel aging but, of course, sticks to its Vermont oak harvested on WhistlePig distillery grounds, which also lends itself to the very unique, award-winning flavor profile that its Whiskeys achieve. Vermont oak exhibits a very high number of growth rings, due to the cold temperatures of the very northern-positioned state. This high concentration of growth rings means a denser wood grain, and that the flavors released from the wood are more tightly controlled—adding one more careful measure to the WhistlePig Rye formula. 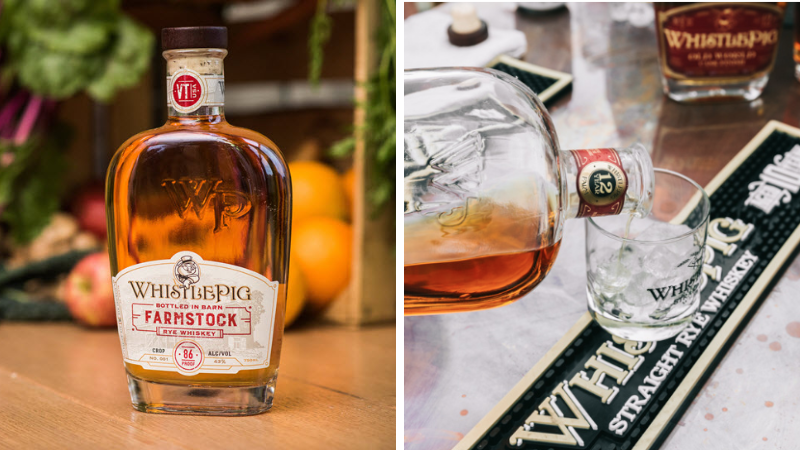 One of the newer additions to the WhistlePig line is the FarmStock, which is also somewhat of their pride and joy regarding their Vermont-local mission. At 86 proof, it adheres to all of the WhistlePig farm-to-bottle standards and values: It’s produced from 100 percent Vermont grain, Vermont oak, and Vermont water. As the most awarded Rye Whiskey in the entire world, the WhistlePig 10-Year is the product of a hidden stock of Rye found in Alberta, Canada, brought back to the distillery and aged in American (Vermont) oak. 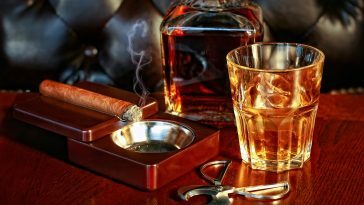 Of course, the 10-Year is a miraculous production to enjoy simply straight or on the rocks, but it also lends itself very well to a Manhattan. Next, we have the 12-Year, or the Old World Cask Finish, which is a blend of Rye that is finished for its last three to six weeks in Port (7%), French Saunerines (30%), and Madeira (63%) wine casks, and married to create their optimal blend. The Old World Cask Finish was the recipient of the Double Gold at the 2015 San Francisco World Spirits Competition. 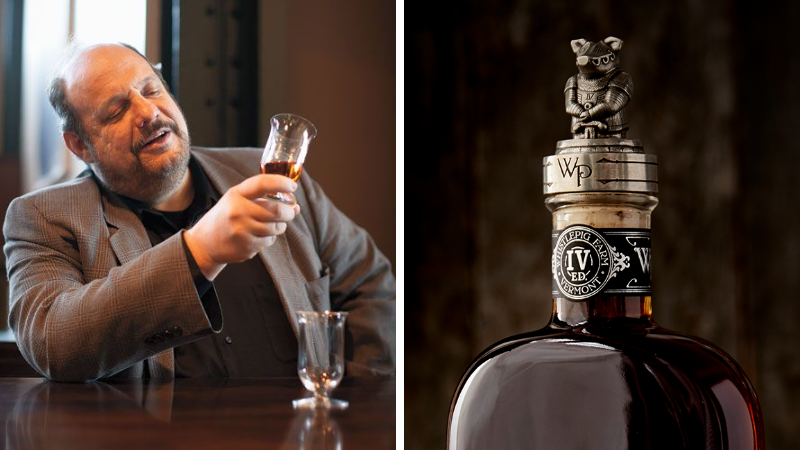 The oldest of the WhistlePig collection is the 15-Year Straight Rye Whiskey, the 100% rye creation of Dave Pickerell. It is first aged in new American oak, then transitioned to WhistlePig’s signature Vermont White oak barrels for its last six months (these ones heavily charred), and bottled at 92 proof. The 15-Year Straight Rye has been awarded 97 points from Wine Enthusiast. Last, but most certainly not least, is the Boss Hog IV, “The Black Prince,” which is the current release in the greater Boss Hog Series (or the “bests of” at WhistlePig distillery). The Black Prince is the first of its kind, which is a straight Rye finished in Armagnac barrels. Bottled at barrel strength (124 proof) after 14 years and limited to just 30 barrels, it’ll run you about $600 but, as some of the finest Rye available, it’s well worth the price tag. 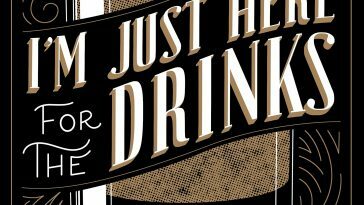 The Black Prince took home the “Best in Show Whiskey” title from the 2017 San Francisco World Spirits Competition.